Celebrities shared Valentine updates on Instagram and had different ways of surprising their significant others. The two just had a simple celebration. Before leaving the country, Kris received plenty of flowers from her friends. Kris soon flew out of the country together with her sons Josh and Bimby. The actor dined with his non-showbiz girlfriend. Marian Rivera posed with her mom and grandmother. The two are still vacationing in Brunei. Nikki celebrated with her husband BJ Albert, who is also celebrating his birthday. 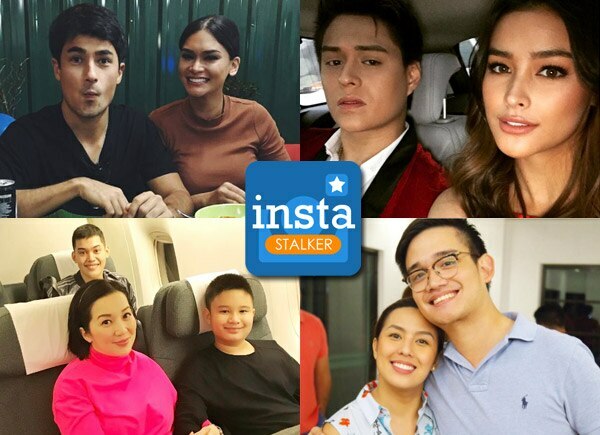 Mariel took to Instagram to express her mixed emotions about her date with Robin, their first date after giving birth to her firstborn Maria Isabella. She said that it was also the first time she left her daughter for four hours. The two are having a good time in the US. The two were happy with their intimate celebration. Solenn snapped a photo of them eating heart-shaped churros. The two dined in a restaurant in Tokyo, Japan. The comedian is gearing up for his upcoming Valentine concert at the Big Dome. The actor gave a rose to his mother. The two had quality time together in a restaurant.